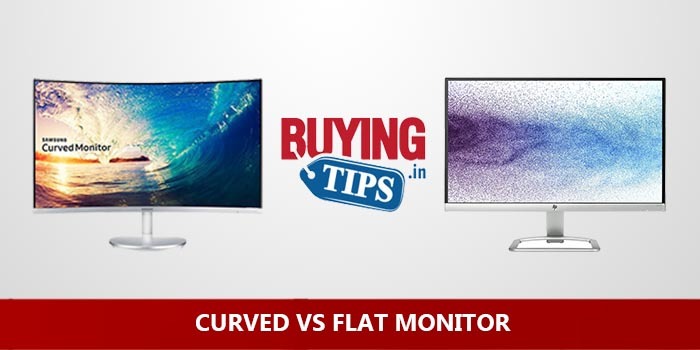 Home » Display » Curved vs Flat Monitor: Which is better? There was a time when curved monitors were expensive, but prices have fallen quite considerably in the last couple of years – making them as affordable as flat monitors. 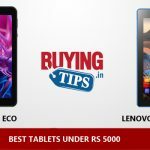 Major manufactures like Samsung, LG and HP have cut prices in every price segment starting from entry level 1080p monitors to high-end 4K displays. Since they cost a little more – Is it worth paying those extra bucks for a curved display? (Answer: Compare the features of similar flat monitors, if curved costs more than 20% more, it’s not worth it – unless you have a lot of money to spend). Immersive experience: When using the PC, gamers as well as professionals sit about 2 feet away and right in the middle (called the sweet spot). It is when viewed from this ‘straight’ or ‘head on’ position that curved monitors give the best possible experience. Futuristic look: For those who like their PC setup to look cool, curved monitors not only look fantastic but more futuristic too – after all we’ve been using flat monitors for more than 15 years now. Upgrading to something different that offers a better user experience is always nice. Lesser reflection: Due to the slight curve, curved monitors reflect less light from the surroundings. This can be particularly useful if you purchase a glossy monitor. More expensive: Since the technology is fairly new, curved monitors cost more. But with prices falling, there are more affordable options now – some curved monitors cost less than 10,000 rupees. Viewing angle: If you plan on watching a lot of movies with your partner or friends, then opting for a flat monitor would be a better option. Like we mentioned above, curved monitors are best viewed from close (i.e the normal sitting position when using a PC). Lesser curve on small displays: On displays that are 22inch or less, even 1800R curves offer little or no curve – so the advantage of curved displays only come in when the display sizes get bigger. If you want to buy curved displays, 24 inch monitors are bare minimum. Ultra-wide curved monitors are also very good. Conclusion: If your computer is used by a single person for gaming or web browsing, go ahead and buy a curved monitor. If two or more people use the computer at the same time for watching movies etc, flat monitors are better. Other things to take into consideration are price and display size (larger the better).